Thanks for the registry link, Ahbleza! He decided to research a little more before throwing in the towel. I wanted to update this for future "wannabes" who are searching for answers to my original question. So far he has discovered that Millis and Roehl both do their employment and background checks before you head to the school. That doesn't mean they won't decline you, but at least you'll know before you rearrange your life to go to the school. I'm starting to get the impression that this isn't going to happen for him. It's really strange because he first started thinking about truck driving as a career when he got clean and started googling opportunities for people with a felony. Truck driver was on the list and he got really excited about it. He'll be disappointed, but he's young and he has time to figure it all out. Thanks for the info. It wasn't what we were hoping for, but I am certain it saved us a lot of time and heartache. Does it make a difference that it was an arrest but not a conviction? Do you know which company sponsored training programs would be the most likely to consider him? That's two votes for Western, so if he goes to a private school he will definitely talk to them. Thanks for the info! We got excited when we read that FFE does the background check before you get there. Then we read you need to be from Texas. Bummer! Some of the others may do it first too, but so far that's the only one that I've been able to find that does it for sure. If anyone knows of other companies please let us know! Old Dog - If he's going to reveal this to the companies is there a reason to wait and apply after it's been expunged? Does the expungement make a difference in their decision? Or would you recommend him going to a private school, then after it's expunged maybe apply at smaller companies? Can anybody get a HireRight report? Can he just get his report (after the charge is expunged) to make sure it's clean? I googled western trucking and got results for several different companies. Which one is it? Speaking of private schools, would that be a better choice for him? I think he has been looking only at company schools. 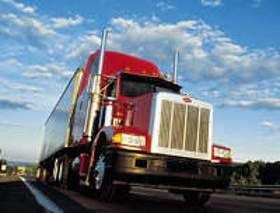 Would it be easier to get hired if you are applying with a cdl already. Do schools run background checks and if so, do they do them before you're accepted into school? That's exactly what he's looking for. Does western have a school or would he need to go to a private school first? Companies hold to their own background criteria . Some companies with hire a dui or certain felony convictions if they are date back to # years. Other companies with not hire either under any condition . You really have to get him to dig in and start calling some recruiters and see what they have to say. There is no harm in research prior to cdl school. Do you know which companies are more likely to hire with a dui or conviction? He doesn't have a conviction, but it seems like those would be companies that might give him a chance. Also, should he wait until the arrest is expunged or should he start now? It could be several weeks or possibly months before his record is clean. Ok now I have another question about this. If he is going to tell the company about the arrest is there any reason to wait until the arrest is expunged before he starts applying? I thought the reason you get it expunged is so you can wipe it out of existance. If you're just going to tell them why get it expunged? I admit I'm a little clueless about this kind of thing. Would the recruiter refer him to the safety director before he goes to school? That would be great! I realize all of the companies will run a background check. I just wanted to help him by getting some advice on which companies might do the check before he gets all the way to the school. It would be awful to quit his job and then be told he can't be in the program. Do you know if any of the companies do the check first? Do any of the company cdl schools perform the background check before you start to school? I know someone who is interested in becoming a driver. He has a previous arrest, but was not convicted. His record is in the process of being expunged. He is working right now, so he is a little weary about quitting to go to school, then finding out he doesn't qualify. Any help would be greatly appreciated!